As an Accredited Dulux Painter and the winner of the Houzz Best Service Award 2017 & 2018 we are driven to raise the bar in painting services, establish long lasting relationships and exceed our client’s expectations with every job. With twenty years experience and a great team, we provide painting services for all interior & exterior residential, commercial and strata projects. We are a 24/7 service with an after-hours team, servicing clients that include; Commonwealth Bank, Suncorp, Bankwest, H&M, COS, Corrs, Amazon, Facebook, Morgan Stanley and more. We also do speciality paint finishes for interior and exterior painting projects. We help you maintain, protect, preserve, beautify and add value to your property. We do this by providing you with; •highly skilled craftsmen who are punctual, fastidiously tidy and pay great attention to detail; •the most ideal painting system for each project using only premium quality paints and products; •quick turnaround of inspections and quotes; •project supervision providing clear communication before, during and after the project; We are fully insured, licensed (checked and approved by Ebix Trade Monitors) and as Dulux Accredited painters comply with a strict charter of values. Spot The Colour Painting is the holder of the current edition of the ASSA Workplace Compliance System. Implementation of the ASSA Compliance System enables this company to fulfill our statutory obligations under the relevant WHS legislation, providing employees, clients and visitors with a healthy and safe workplace. We service all Sydney Metropolitan Areas and provide handyman and carpentry services if required. We look forward to maintaining and transforming your property with paint soon. Perfetto Painting and Decorating is a privately owned and highly regarded service provider in the painting and decorating industry. 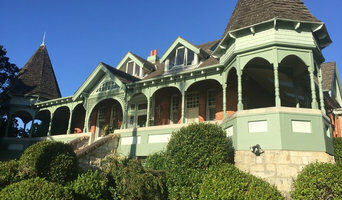 The business in Sydney was established by Antonio Lovisi in 2007, as a result of his ability to work with a range of different painting styles and techniques. This skill has enabled him to build a reputation based on quality, precision, creativity, innovation, efficiency and excellent customer service. Antonio has more than18 years of extensive experience in the field, he discovered his passion for painting at a very early age and attended the renowned decorative school “Arte Applicata del Castello Sforzesco” in Milan Italy. He first started as an apprentice but not long after, given his distinctive talent and numerous clients enquiring exclusively for his work, he decided to start his own business. After many years of success and recognition in Italy, Antonio felt the need to expand his expertise and explore different opportunities and then decided to move to Sydney. Antonio Lovisi is a licensed painter and decorator offering his unique skills and expertise throughout the greater suburban area of Sydney. He has recently renamed his business “Perfetto Painting and Decorating”. He recognizes that each client has different tastes and needs and strives to provide customized services by working closely with each individual in a timely manner. The name says it all, “Perfetto” is how our clients define the outcome of his painting and decorative services. Antonio is actively involved with each client ‘s project every step of the way. Perfetto Painting and Decorating endeavors to exceed client’s expectations by providing advice, presenting accurate proposals and top quality work. The business provides a different array of top quality services ranging from commercial to residential projects. At Perfetto Painting and Decorating we are ‘early birds’; we like to make the most out of the working day and we are willing to work long hours if it can benefit the whole process. Boutique Paper Hanging is a wallpaper installation service specialising in residential jobs where care and attention to detail is paramount. Based on Sydney's north shore, working all over the region. To facilitate the quoting process please send me a brief description of the job, the dimensions and a link to the wallpaper you have chosen. If you have a photo that would be great too. Whiteys Painting & Maintenance is a small, quality driven Sydney painting business. We are a family operated business who focus on providing good old fashion service and a quality finish. Our excellent reputation and long lasting list of satisfied clients attest to our superior craftsmanship, attention to detail, clear communication, honesty and integrity. The business started in 2009 with Luke, the owner, who ha been working in the industry since 1995. Luke’s attention to detail & leadership skills speak to our slogan: ‘Our quality and standards speak for itself! Because that’s what really matter, right?'. We are committed to professionalism and this is why we are associated with Master Painters & Dulux accredited and honour both with absolute pride. The transformation would have to be one of the things the whole team at Whiteys Painting loves. The entire journey, from offering a FREE Dulux colour consultant to handing over the completed job, seeing the before and after photo’s makes us proud. At WPM, we also like to offer our clients maintenance work as an extra service so the finished painting looks complete at the end of the job. At Top Touch Painting Services we pride ourselves in delivering the best possible service on interior and exterior painting of residential and commercial projects. We use top quality paints and materials and all our work is fully insured and guaranteed. We are members of the Master Painters Association NSW, are licensed, Certified Green Painters and accredited contractors by Trades Monitor. Sydney based professional painting company. We pride ourselves on delivering outstanding customer service and professionalism. Our proven 9-step process means our finished work is second to none. Our focus is you, our customer so we deliver results that WOW with minimal disruption to you. 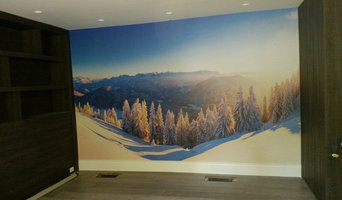 Studio for custom designed wallpapers & murals. We also supply a vast selection of designer wallpapers & wall panels. Zest Painting’s head office is located in Castle Hill, to get the best painting service in Sydney with professional licensed home painters who have the capability to paint any of your interior and exterior painting projects that guarantees quality and professionalism. We don’t just paint your home. We give your home color and Zest. We are professional painters with the skills to get the job done in an excellent finish. Our extensive experience has enabled us to provide state of the art painting services to our clients and incorporate the elegance and style to your home with our painting skills. We give your property, whether it’s an office, home or industrial premises the zest you are after. We use modern approaches to painting your home. You can expect a reliable and dependable service from Zest Painting. Consistency, Performance and trust is out motto! We have been continuously serving the diverse needs of our customers and using the latest technology paint products which has enabled us to give the best quality of painting finish to our clients. We can take up any painting project due to our extensive knowledge and experience in this field. 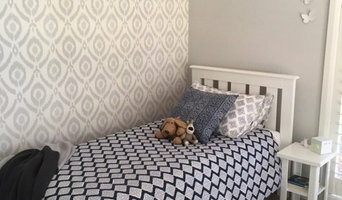 Zest Painting is well known and quite established in the Hills district and surrounding areas and can handle diverse projects at an affordable and reasonable price. always going by the book and never taking any short cuts. We create the ambiance in your home with our specialized painting services. Whatever kind of painting you require for your home, we will make sure you get a high-quality painting and maintenance services for your home. The Hills District Painting services allows us to offer fast painting services in the region and provide a variety of services to the customers, including home and commercial painting with the largest trained staff. We can deliver most effective results in the minimum time and have been rendering superior painting services in the area for over decades. Just give us an idea of what kind of painting you want for your home and leave the rest to us. Importer, distributor and professional applicator of Metropolis-by-IVAS (est since 1953) architectural coatings and wall plasters made in Italy. Product ranges (in various common names) : Venetian Plaster, Polished Plaster, Marble Plaster, Stucco, Marmorino, Travertine, Lime Based Plaster, Textured Wall, Feature Wall, Resins, Faux finishes. ASNU Group of Trades Pty Ltd provides Total Home Improvement Solutions. As our name suggests we are a 'Group of Trades', a team of tradespeople who work together to complete Sydney renovations. Our professional Builders Carpenters and Painters are highly-skilled and experienced in all areas of residential improvements. We do it all from Complex Renovations to Carpentry repairs, New Decks, Interior and Exterior House Painting, Colour Consultancy, Bathroom Renovations and Kitchen Remodels. ASNU also has scaffolding to use on our clients’ jobs, so all hard to reach areas can be repaired safely and quickly by our team. 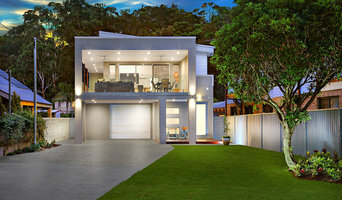 ASNU works throughout Sydney, we understand the ins and outs of renovating Sydney Homes. 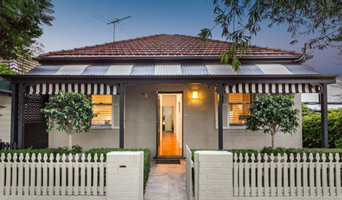 Inner city terraces, weatherboard cottages and suburban red brick homes we have extensive experience repairing and renovating all types of Sydney houses. Family owned and operated, we listen to our clients’ needs, then deliver your renovation dream. We pride ourselves on our professionalism and treat clients and their property with respect. Our friendly office staff Cath and Janine, co-ordinate your job from start to finish. Our office is open from 7am to 5pm and Consultants can be reached after-hours. So, you can discuss your jobs progress anytime. Volantes Decorating Service is a multi-award winning painting and decorating company based on Sydney’s Northern Beaches. Established in 1980 and currently in its second generation, we are a proud family owned and operated company that that builds lasting relationships through quality work and personalised service. Our local team of 20 qualified painters and decorators, is headed up by John Volantes who is on-site managing our team of professional trades-persons. From residential repainting, heritage and restoration work to new commercial projects, we provide our clients with the expert skills and knowledge of products and trends to achieve the best project outcome. We work with our clients and designers to discuss colour choice, placement of colour and finishes, and select the correctly suited leading products on the market to meet your individual needs. As members of the Master Painters association, we take pride in our craftsmanship and strive to achieve the most flawless finish that is above and beyond our client’s expectations. It is this attention to detail and our professional approach which results in the majority of our work is generated by client referrals. Our traditional ethos for attention to detail, hand painted finishes, and the desire for perfection is recognised in our numerous MPA awards of excellence including ‘The Project of the year for 2014 and 2015’. Ol’Painting is the award-winning domestic and commercial painter and decorator. Well established and trusted in the industry Ol’ Painting services Sydney’s Eastern Suburbs, Lower North Shore, CBD, & Inner West. We paint homes, strata buildings, warehouses, and everything in between. Quality painting that lasts for years, and is delivered in an efficient and accurate way is Ol’Painting specialty. Our ability to consistently make good our promises is supported by the fact that 84.18% of Ol’Painting projects are a repeated business with the previous clients or referred to us by the previous client. Ol’ Painting is a family owned business. Over the years we have grown to become one of the industry leaders. But we maintain the structure, attention to details, quality & service standards of a family business. Contact us to arrange an appointment. We will set up a time convenient for you, (not just a 2-hours gap!) and we show up on time! Först och främst måste man ta beslutet, ska man måla väggarna eller ska man tapetsera? Bygger man ett helt nytt hem kan man såklart bestämma allt till 100 % på egen hand, men har man köpt en bostad från någon annan så måste man ju alltid utgå från nuvarande lösning. Det är med andra ord inte alltid man bara kan måla över eller sätta upp en ny tapet, och sen är det klart. Sitter det exempelvis uppe en tapet med struktur måste den tas ner, det kan man göra själv eller med fördel överlåta till en expert på tapetsering, som sen kan sätta upp nya också. Den som provat sätta upp tapeter själv vet hur enkelt det är att det blir snett och ojämnt, men med ett proffs i Waterloo så blir det alla gånger ett riktigt bra resultat. När det kommer till pris och kostnad, så är vårt tips att kontakta det företag som du är intresserad av att anlita. Visst skulle vi kunna ge en ungefärlig kostnad, men bäst är alltid att få pris för tapetsering direkt från den som är expert på det. Att måla tak, trä- eller takpanel eller fönster för den delen är inte alltid det lättaste. Momenten än fler än man tänkt sig från början och vill man ha ett perfekt slutresultat så bör man anlita någon expert som verkligen kan det där med målning. Går man i tankar om att måla om huset ska man definitivt ta hjälp. Anlita en målare som kan allt om målning, material och färgtyper! Någon som har gedigen utbildning samt erfarenhet. De flesta målerifirmor i Waterloo, har erfarenhet av att både måla hus, innertak, badrum, tegel, staket, fasadmålning, sovrum, fönstermålning och så vidare. I det här fallet är mer bättre. Måleri är en konst som inte ska underskattas så se till att få tag på en riktigt bra målarfirma. Bra måleriservice är när företaget eller personen verkligen förstår hur slutresultatet ska se ut. Se till att ni är överens från början! Dessutom kan en målare hjälpa till att välja ut vilken färg som skulle passa på din fasad eller i ditt hem, det är inte alla gånger så enkelt att komma fram till på egen hand. Eftersom både måleri och tapetsering kräver genuint grundarbete så kan man själv ta bort sin tidigare tapet eller besöka färghandeln eller en färgtillverkare i Waterloo, NSW, AU, så att färgen finns på plats när målaren kommer. Men likväl kan man också överlåta detta till företaget man anlitar, många gör ofta detta eftersom man helt enkelt vill få ett bra resultat. Många kanske tror att det är enkelt att exempelvis skrapa bort färg, men vill man ha noggrant och jämt resultat är det allt som oftast en fördel att anlita någon även för detta. Inte minst om man har många rum som man vill måla om, det kan vara väldigt tidskrävande att ta bort färg själv medan en expert kan göra det på mycket kortare tid. Det gäller att vara smart! Man bör även vara tydlig med vad exakt som ska göras innan personen kommer till ens hem då det kan kräva olika typer av förberedelser. Ska man måla över tapet, byta panel, tapetsera på tapet eller ska det utföras en sprutmålning? För att arbetet inte ska dra ut på tiden är detta viktigt att kommunicera innan projektet drar igång. Man bör även vara tydlig med om de ska måla inomhus eller utomhus. De flesta målerifirmor i Waterloo, NSW, AU har koll på detta själv vilket brukar resultera i en god dialog innan arbete utförs.